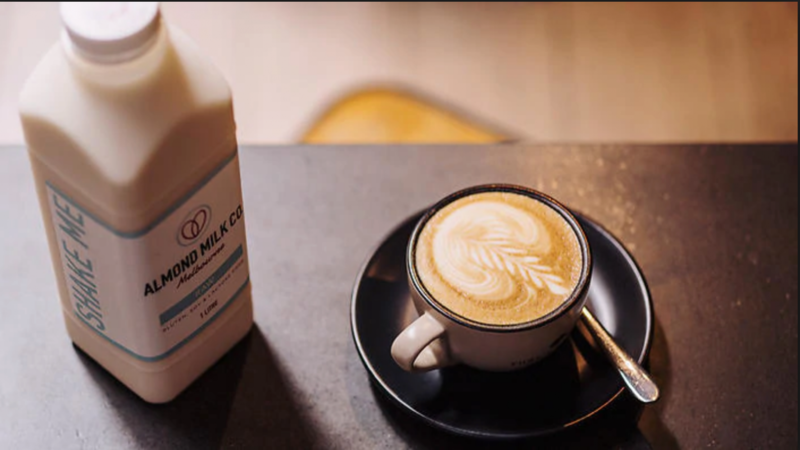 This newfound demand for almond milk as an alternative to dairy is causing quite the controversy, and it’s all thanks to those hipster millennials! It’s no secret that everyone has some sort of carbon footprint, but not many people stop to think about how their diet choices directly impact the environment. But now you realise you have to switch your frothy cappuccino to a long black, and as much as you like coffee, you are missing your milk. Luckily there are alternatives, and look! Plant alternatives! Almond milk! This must be so much better and healthier for you, right? What if I told you that to grow one almond, 4.16 litres of water were required . Or that a recent study found that one kilogram of almonds produces 1.5 kg of carbon dioxide emissions . The numbers add up to some pretty scary results. It’s probably also worth mentioning that 82% of the world’s almonds are grown in the dry, drought-induced, bush fire ridden state of California . You’re probably thinking no big deal right? The world thrives off export, in fact, New Zealand’s economy was built upon dairy exports which supply 1/3 of all global trade  so it’s business, unavoidable really. But all of this business doesn’t sound too healthy for California’s environment. In fact, it almost makes you think twice about your hot cup of vegan, dairy-free, gluten-free cup of coffee. With the rising popularity of plant-based milk as an option, this demand has very big impacts on the environment that these foods are grown in. With a majority of the world’s almonds growing in extreme conditions (such as California) necessary measures need to be taken to ensure high yields and minimal financial loss. In drought season, one study found that in order to ensure an almond orchard produced a higher and quality yield during drought season, it was more efficient to prevent severe water stress during the flower bud development . This is needed for the bloom and fruit set of almonds and is much more efficient than regular, restricted watering. It seems pretty crazy to spend time and resources on researching and cultivating a nut that has such strict and constrained farming practices. So doesn’t it makes sense to stick with cow’s milk, which only uses 1020 litres of water per kilogram of milk  and only produces 2.4 kg of CO2 per kg of milk … hang on, wasn’t almond milk the devil here? Pacific Institute. (2012). California’s Water Footprint. Oakland, California: Julian Fulton Heather Cooley Peter H. Gleick. Goldhamer D, Smith T. 1995. Single-season drought irrigation strategies influence almond production. Calif Agr 49(1):19-22.https://doi.org/10.3733/ca.v049n01p19. International Dairy Federation (IDF) and the Food and Agriculture Organization of the United Nations (FAO). (2010). Greenhouse Gas Emissions from the Dairy Sector A Life Cycle Assessment. Rome, Italy: Animal Production and Health Division.